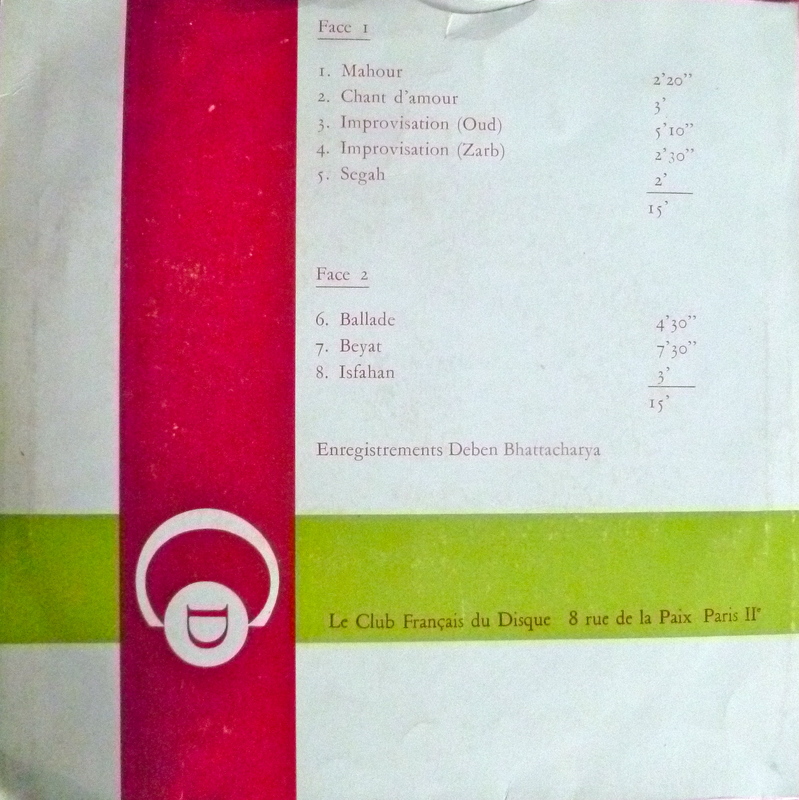 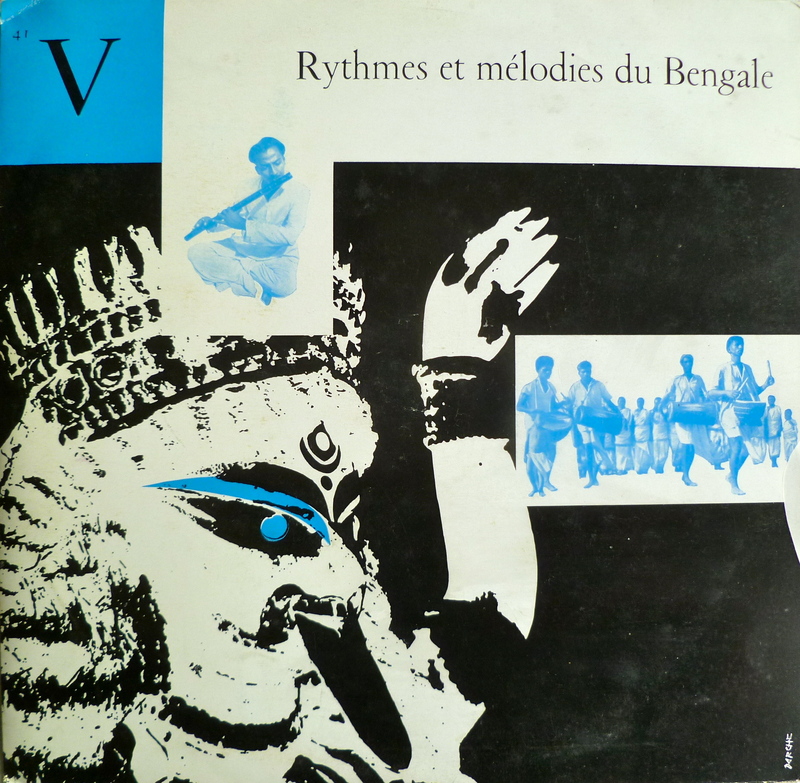 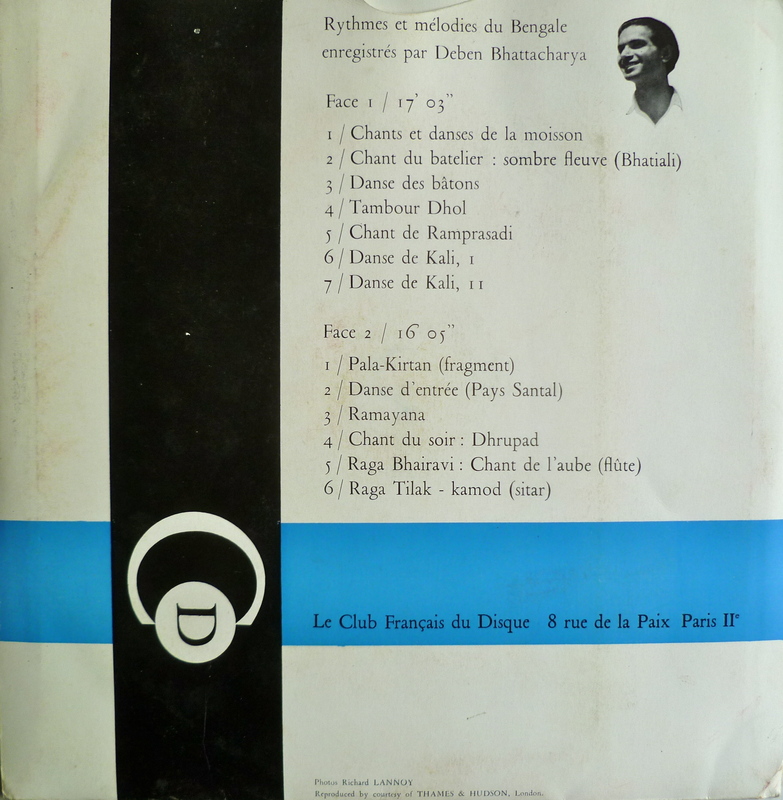 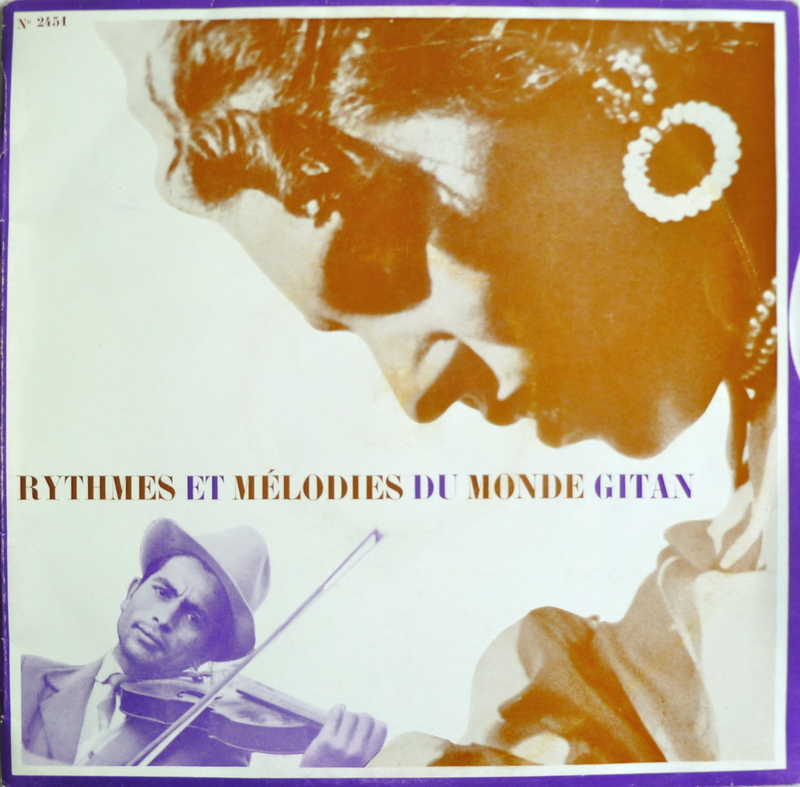 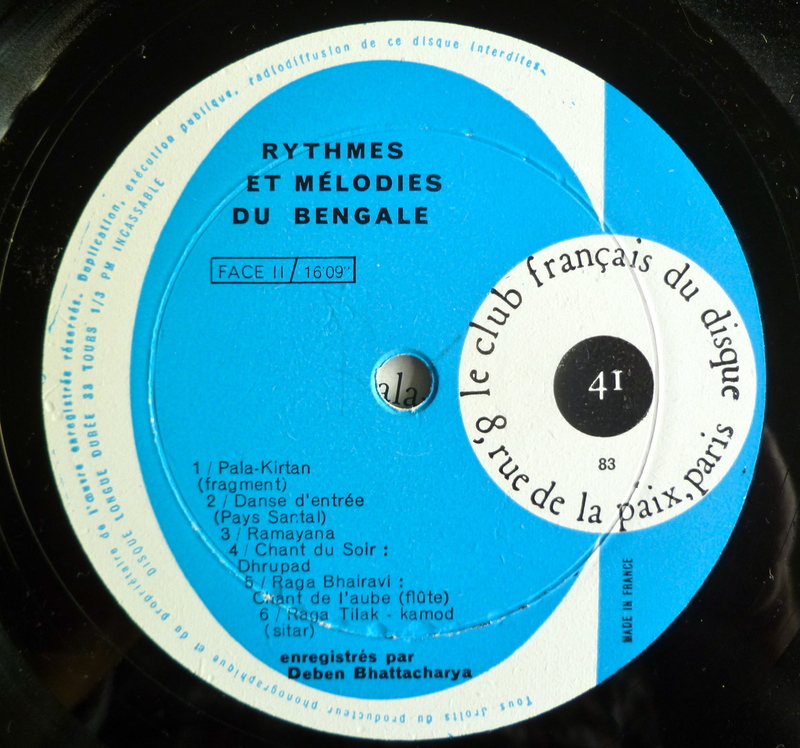 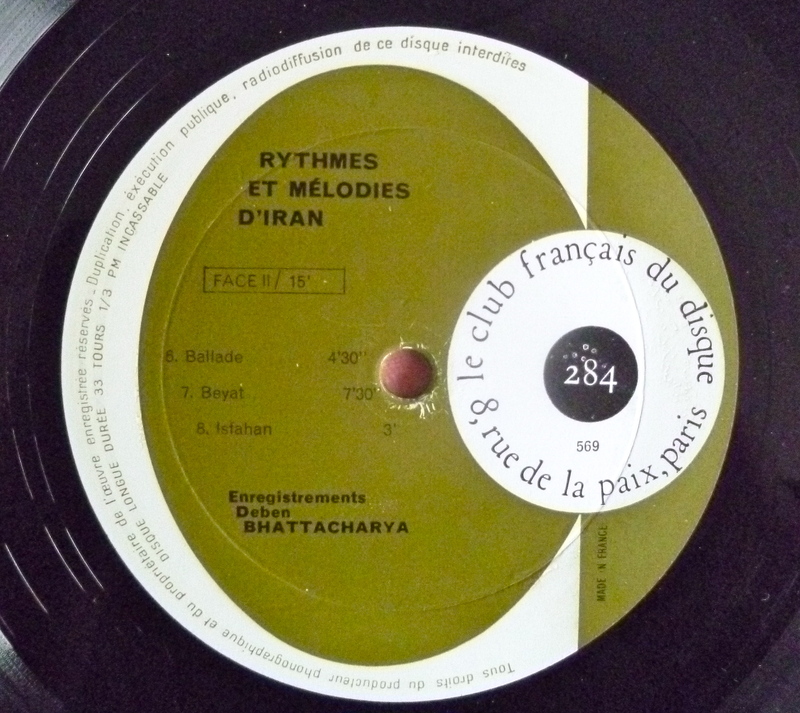 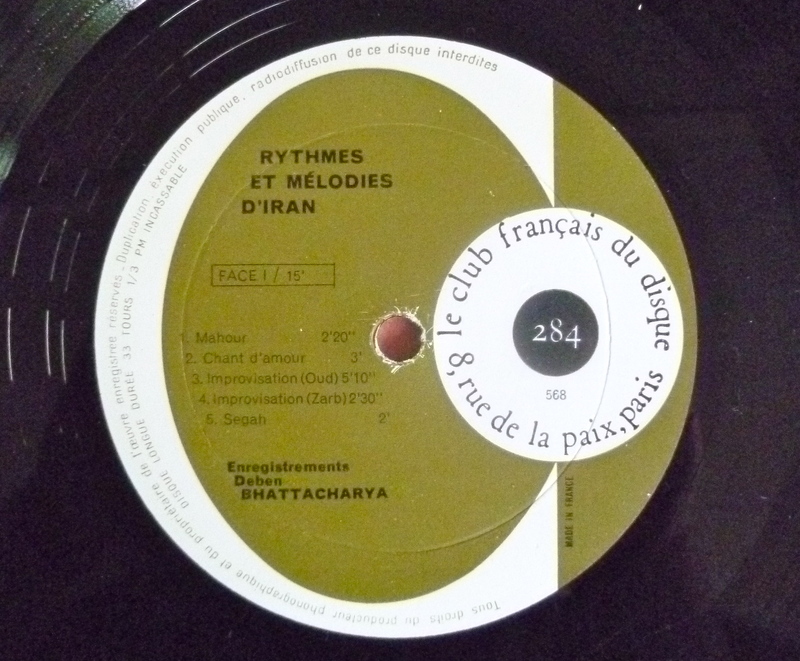 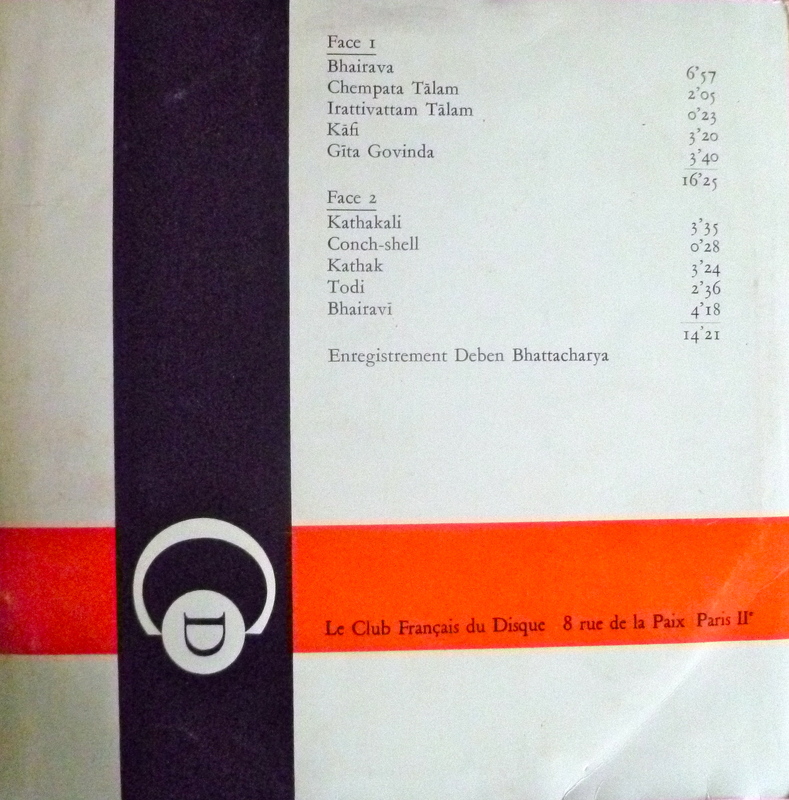 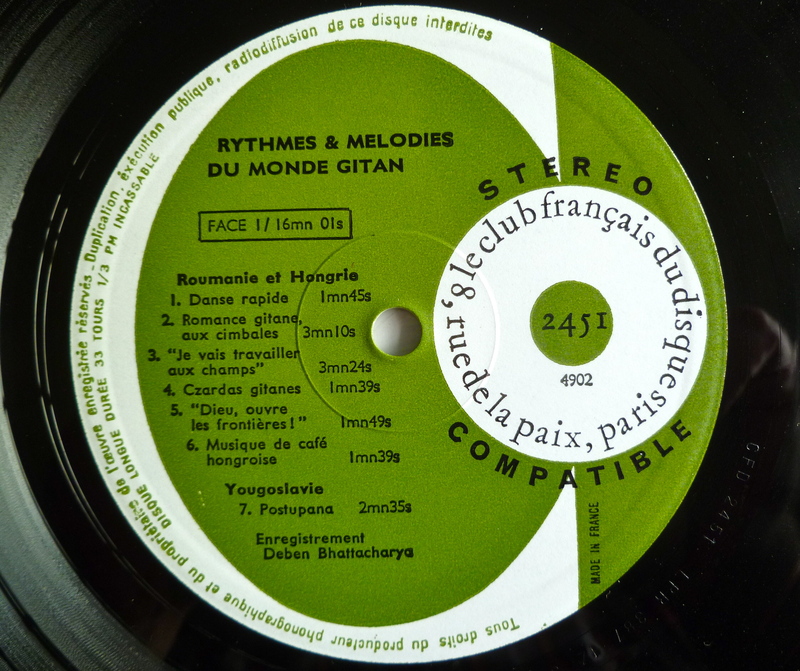 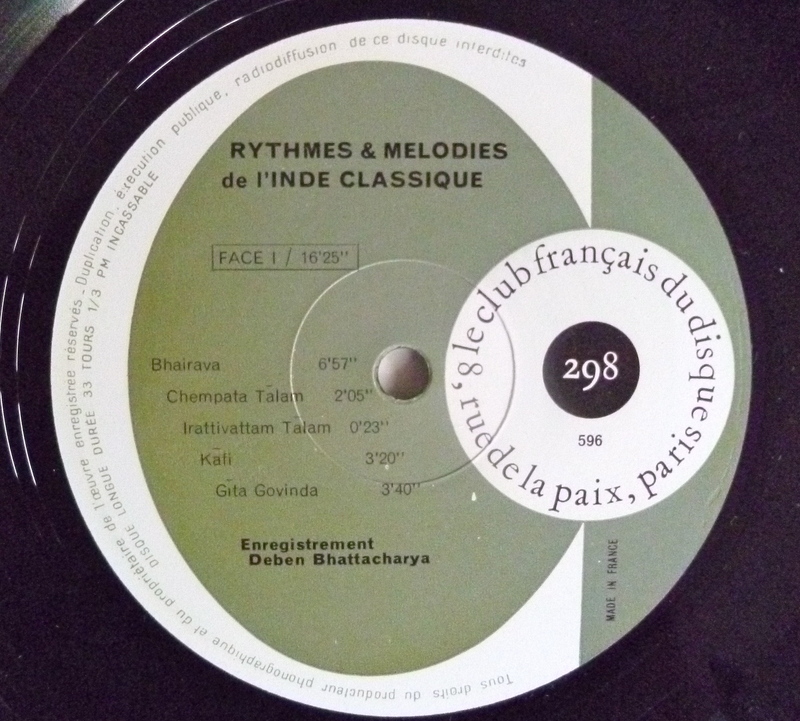 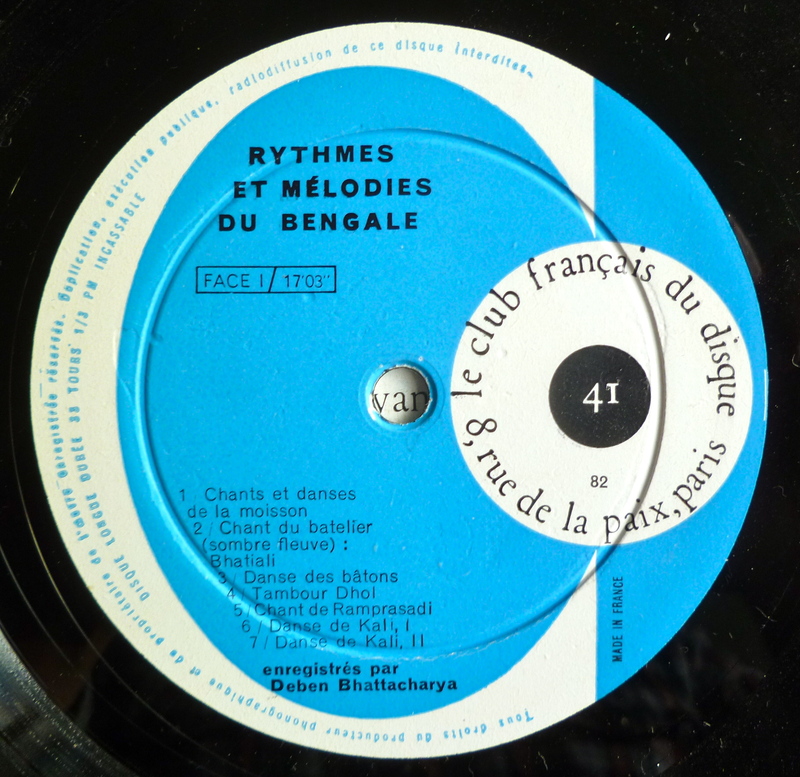 Here are two more french 10-inch lps from “Le Club Francais du Disque” featuring Deben Bhattacharya recordings. 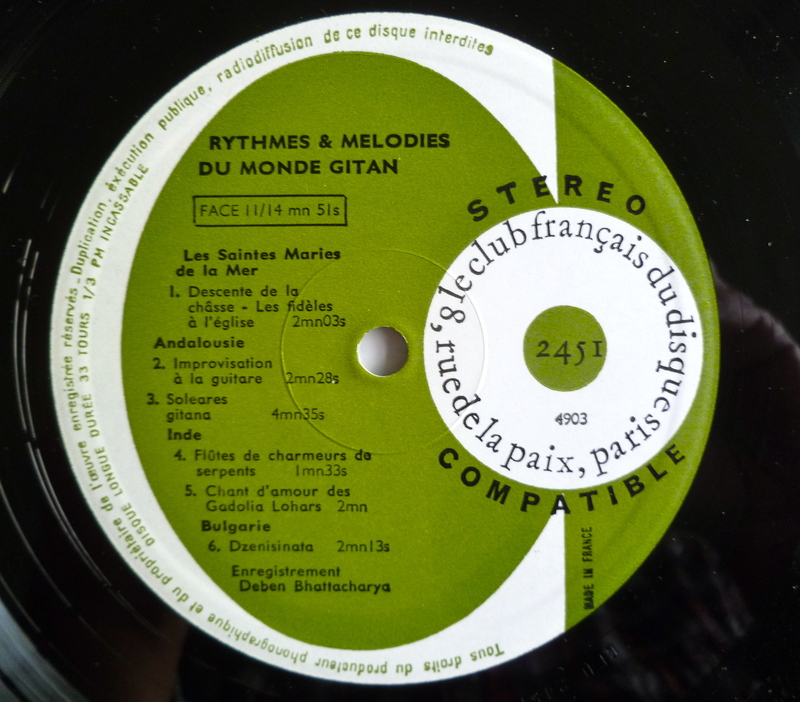 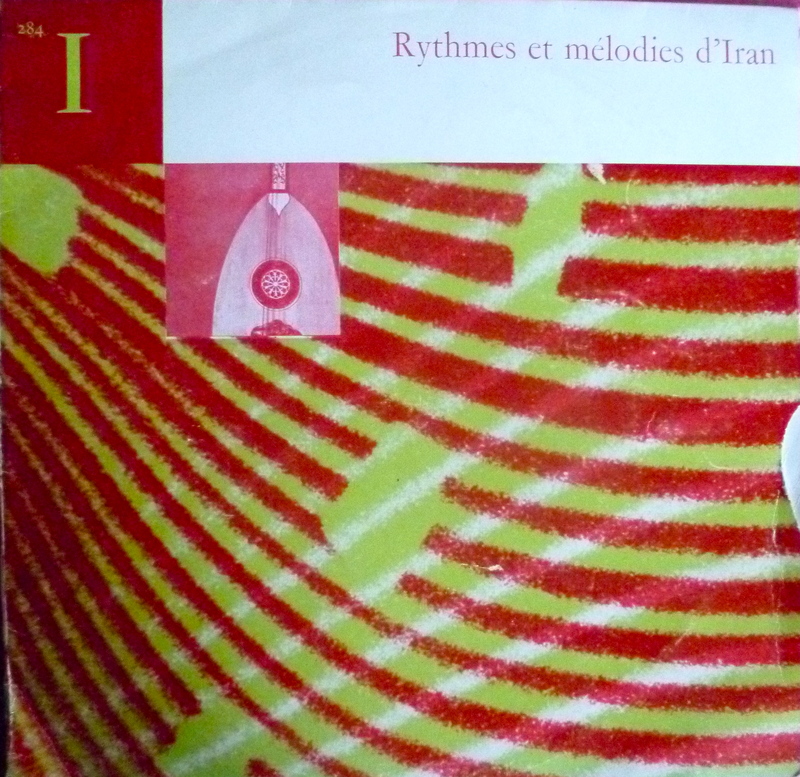 The first one is called “Rythmes et Mélodies d’Iran” and includes instrumental tunes (played on string instruments like the Setar, Tar and Santur and drums like the Zarb) and some folk love songs and ballads. 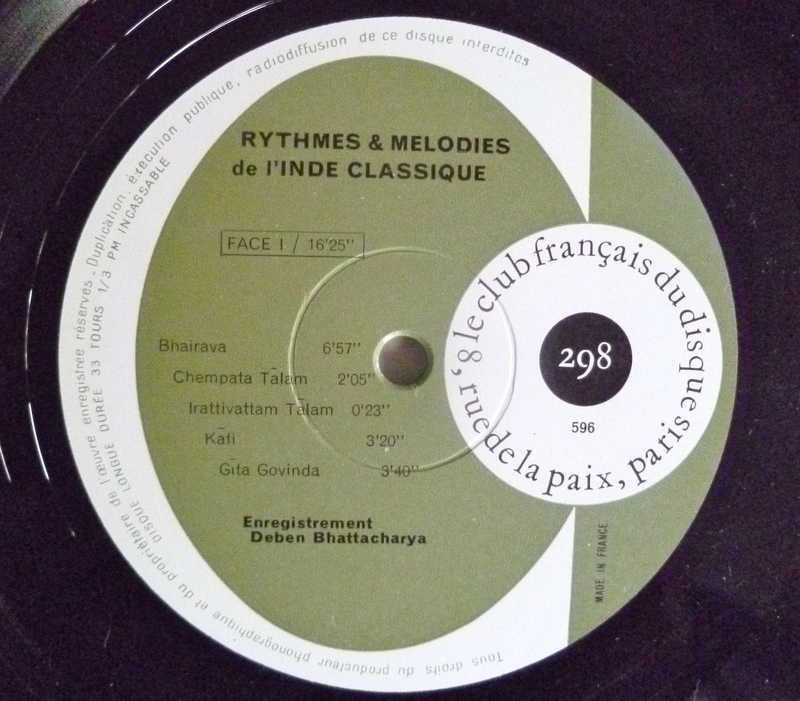 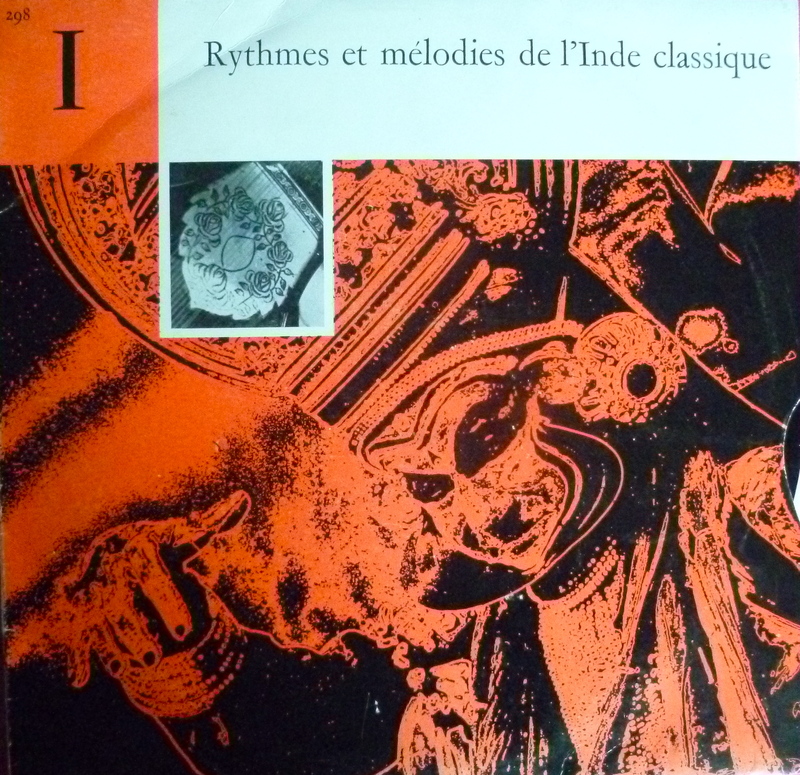 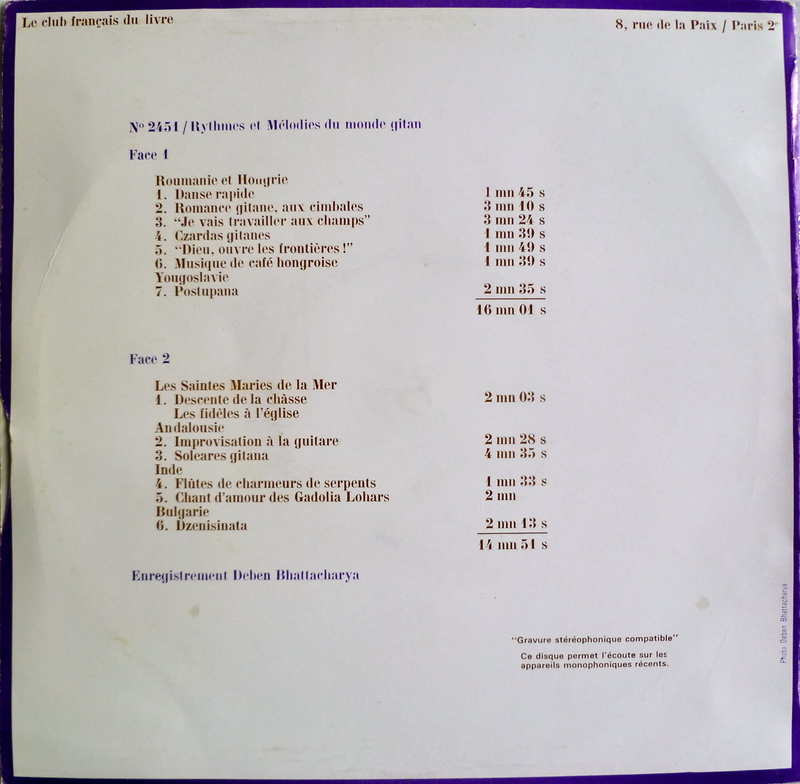 The next lp is called “Rythmes et Mélodies de l’Inde Classique” and features instrumental music and songs from North and South India. 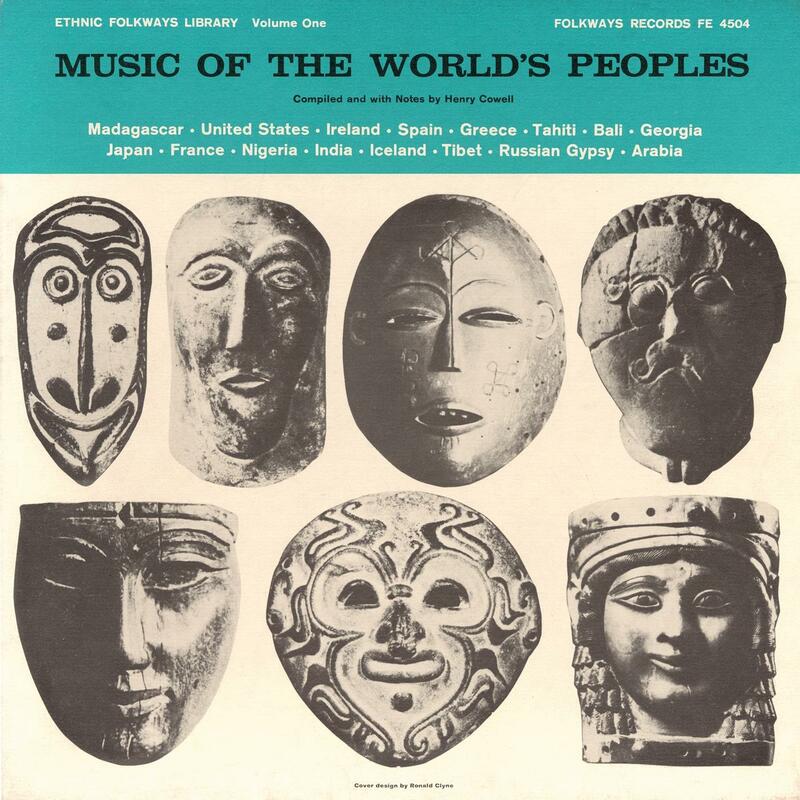 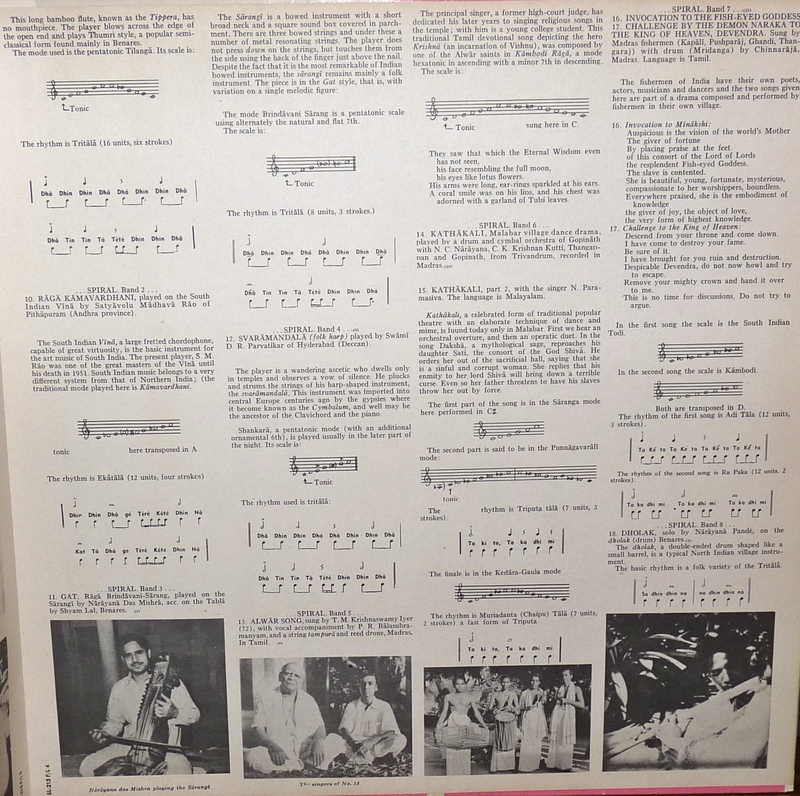 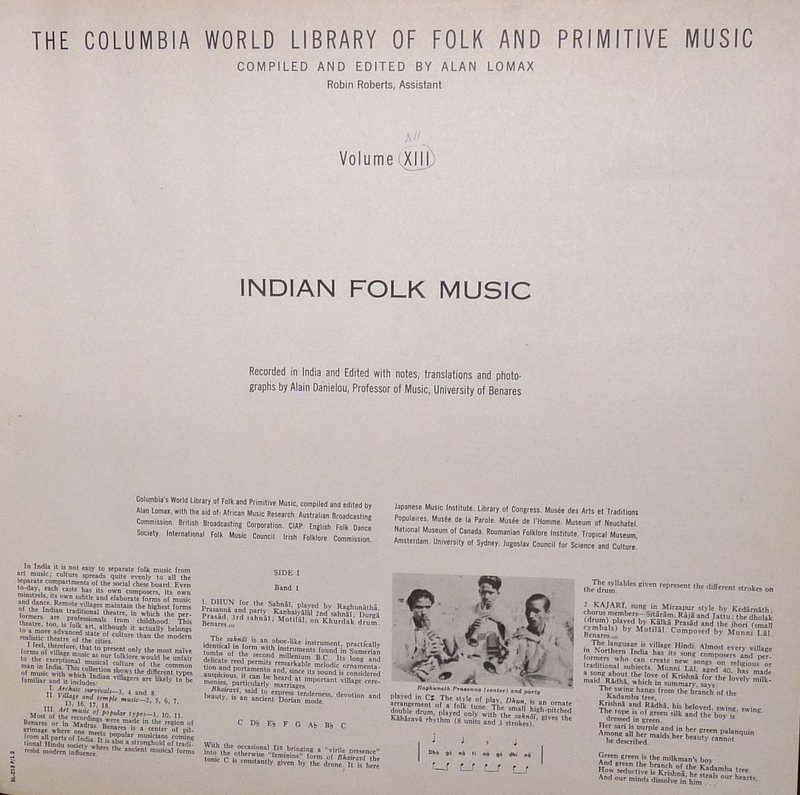 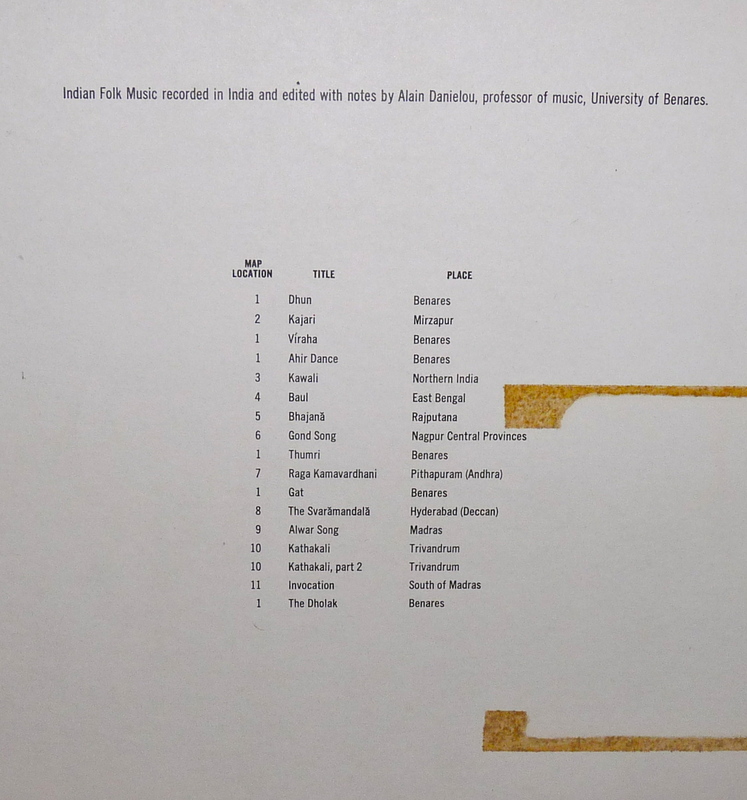 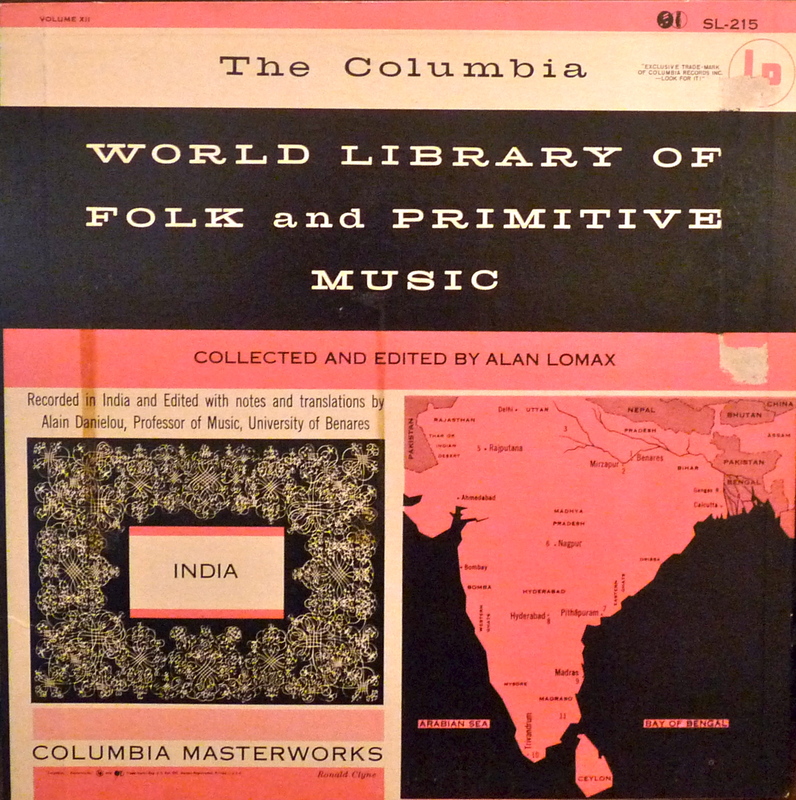 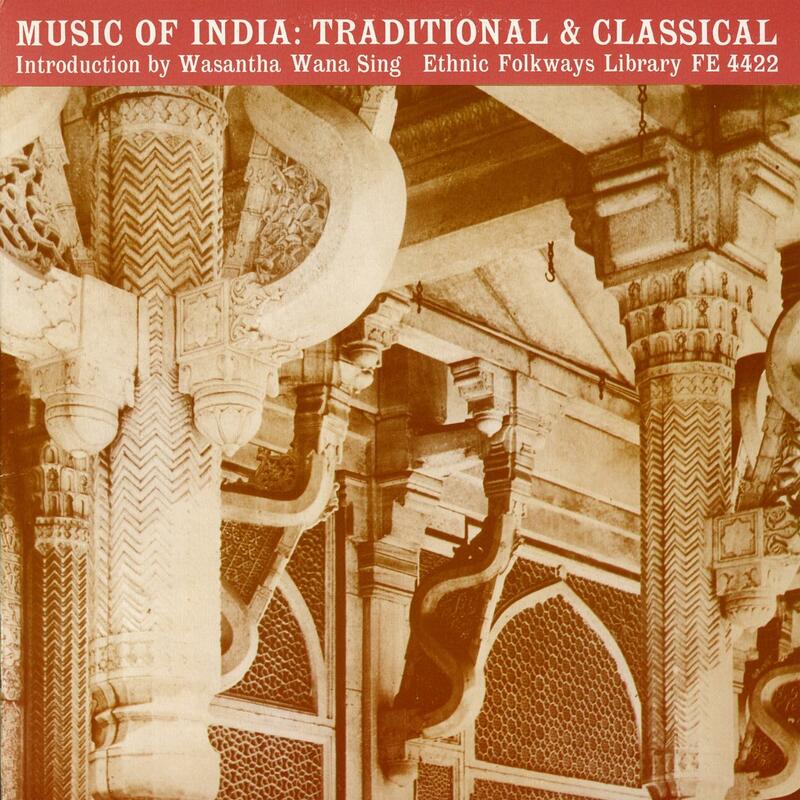 Maybe one of the best disc of the whole World Library collection, the “India” volume is a wonderful sample of folk music mostly from the north of India recorded by Alain Danielou in the 1950’s (i believe). 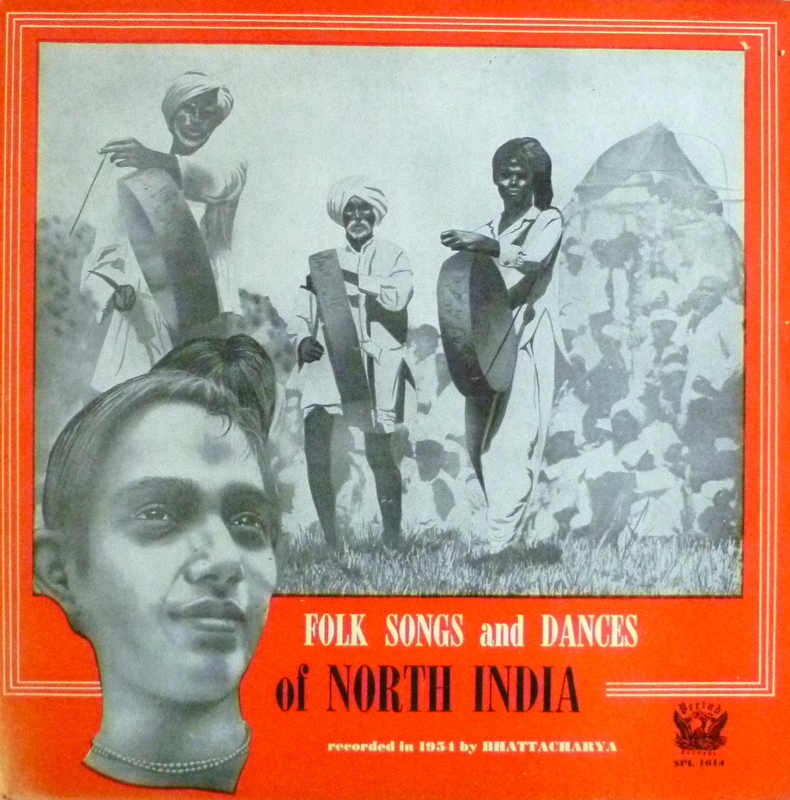 Danielou was a great specialist of Indian music and culture. 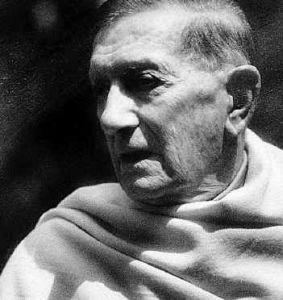 He studied Indian classical music in Varanasi (Benares) and was one of the first to collect and introduce Indian music to western countries. 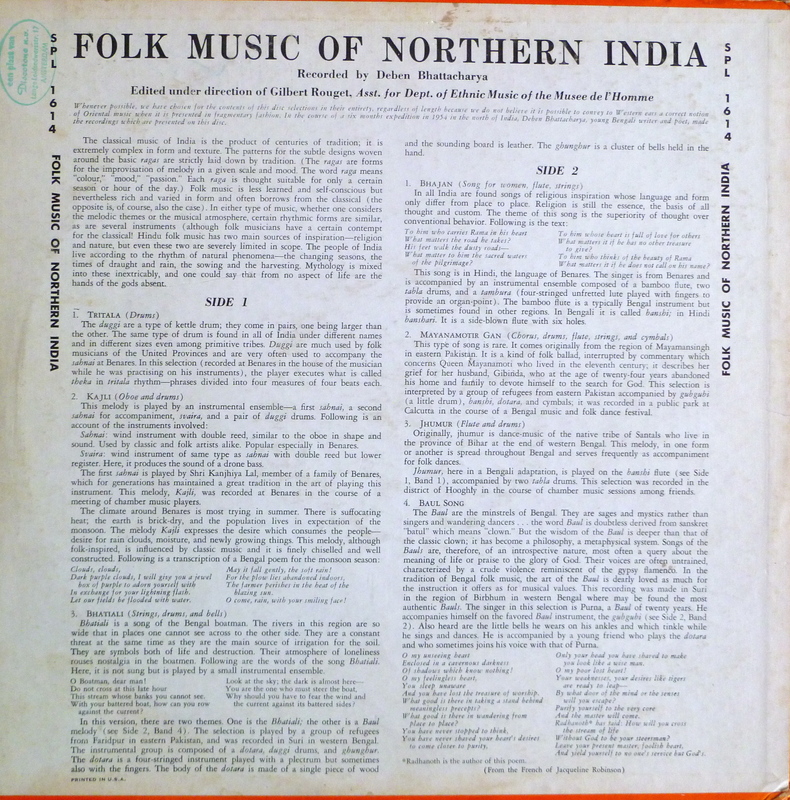 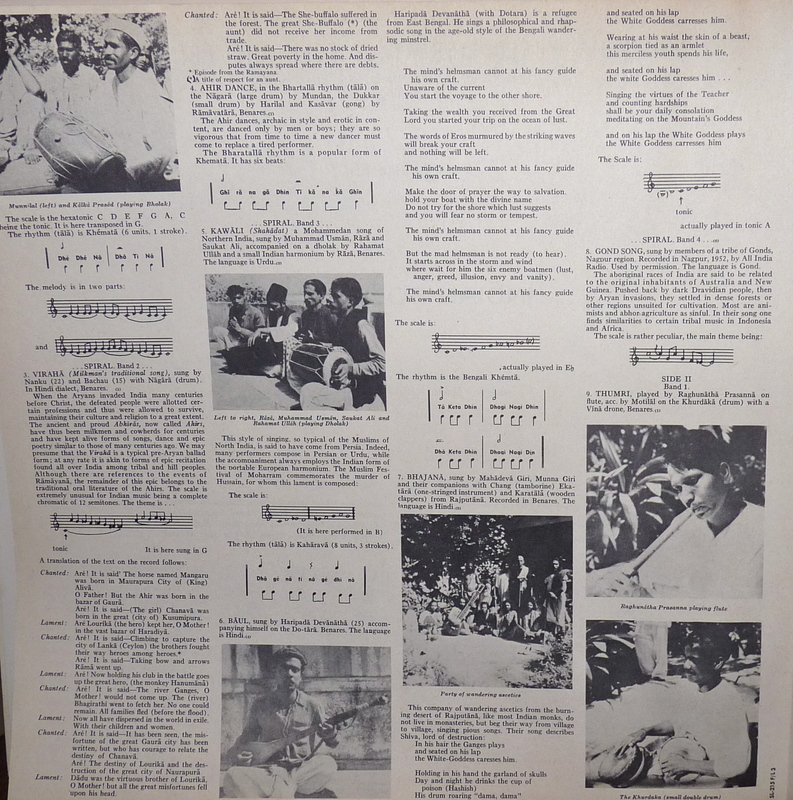 On this record, we have an opportunity to hear some examples of “folk” indian music, which is different from the more well-known “classical” music.